My parents moved to the states from Germany and this is one of my mom’s many recipes that I will share with you. I’m not big on baking, it’s too much measuring, science and pressure for perfection. These recipes are so good, it would be silly to not learn how to make them. Looking back, the whole thing came together pretty easily. These recipes date back hundreds of years, before fancy additives and enhancers. Just the basic ingredients that were available at that time were used. It’s the simplicity of these ingredients that make this recipe so good. 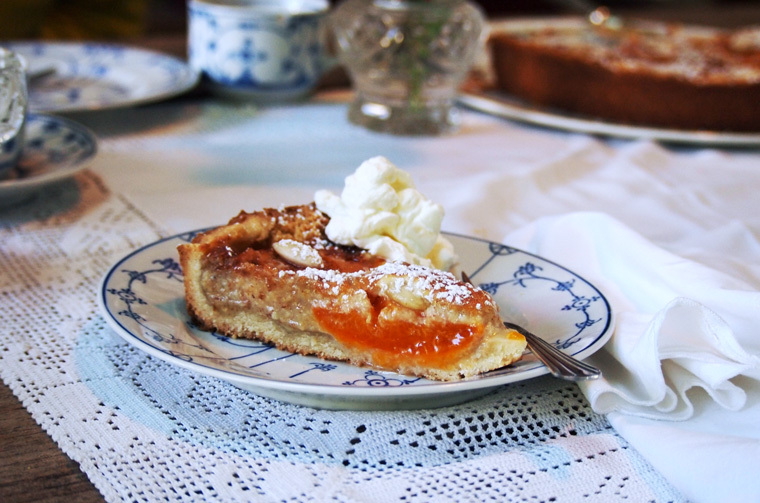 You will find German baking to be heartier and less sweet but delicate and full of flavor. 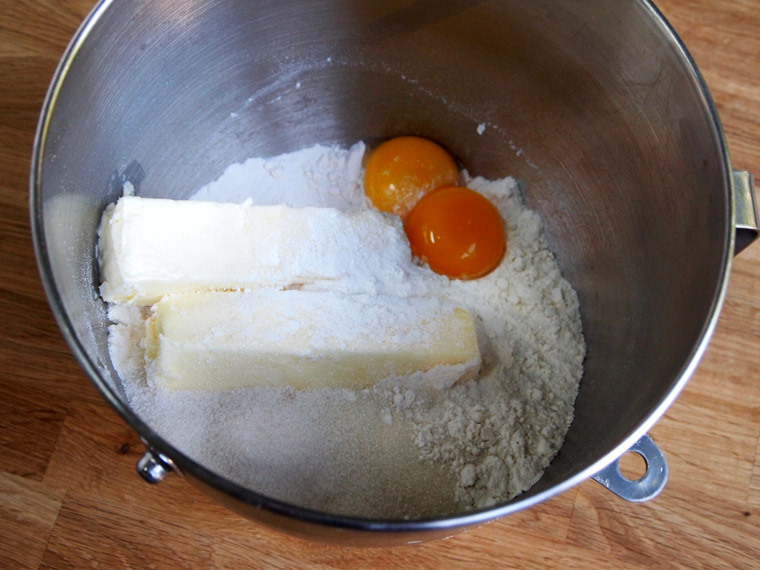 Combine all the ingredients for the dough in a mixing bowl. The dough on the left was too crumbly and would not shape into a ball so I added a tablespoon of butter to achieve a smooth consistency pictured on right. Butter a 12 inch springform pan, line it with the dough and pull up the sides an inch. Chill in fridge or freezer while you work on the next steps. First whip the cream, slowly adding the sugar and then gently fold under the ground almonds and the egg. Keep it light and fluffy. Spread the filling onto the crust. Press in the apricot halves and top each half with a blanched almond. Preheat oven to 350 and bake on second rack from the bottom for 45 minutes. It will look light brown when done, keep an eye on the edges so they won’t get too dark. 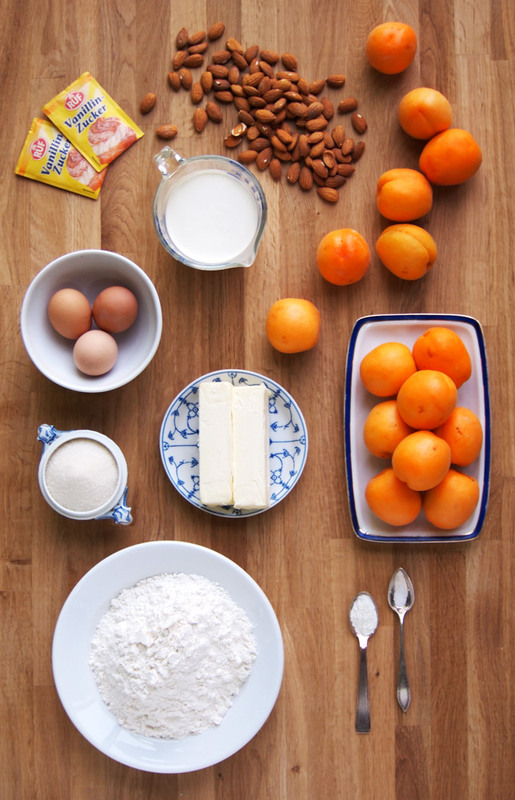 Put all ingredients for the dough in your mixing bowl. Using your stand mixer, start on low and speed it up until dough ball forms, about 3 to 5 minutes. 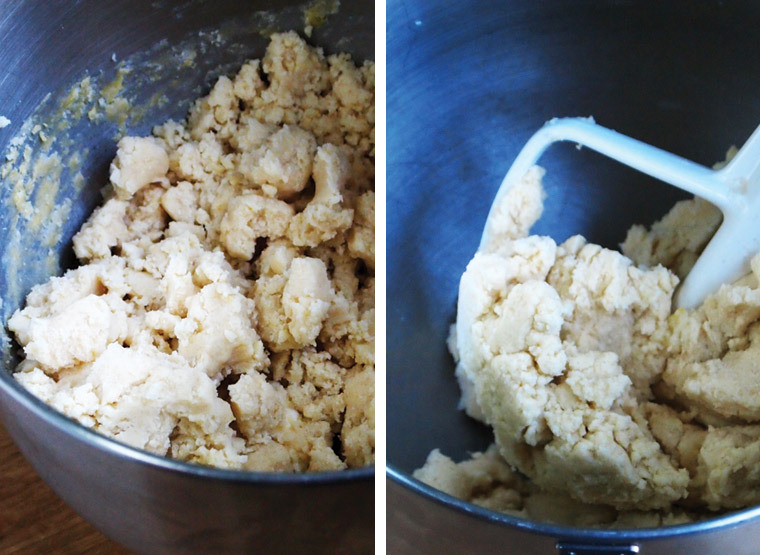 If dough is too crumbly, add a little more butter. Dough should have a soft consistency and stick together well. Butter a 12 inch springform pan. Roll out dough for a thin, even crust (about 1/4 inches thick). 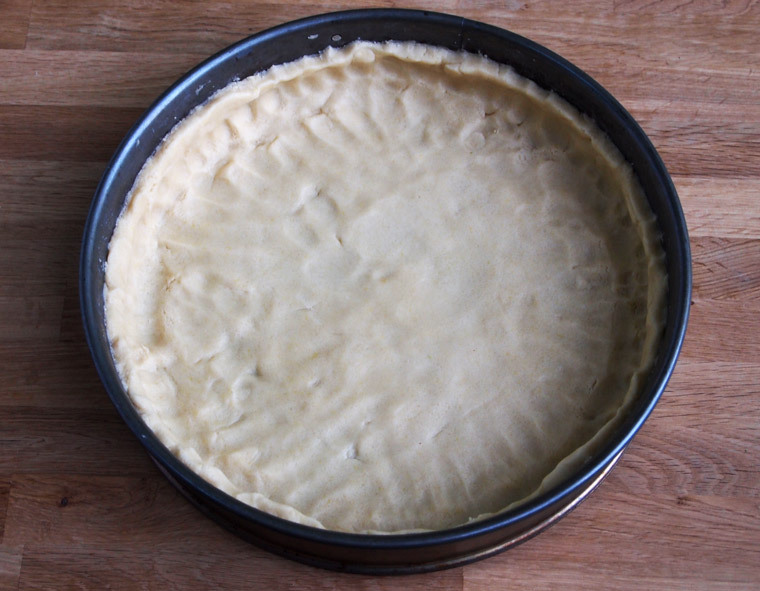 Place dough in springform pan and working with fingers make a crust about halfway up the pan. You may have a little extra dough left over. For the filling, start by whipping the cream and add the sugar one tablespoon at a time. 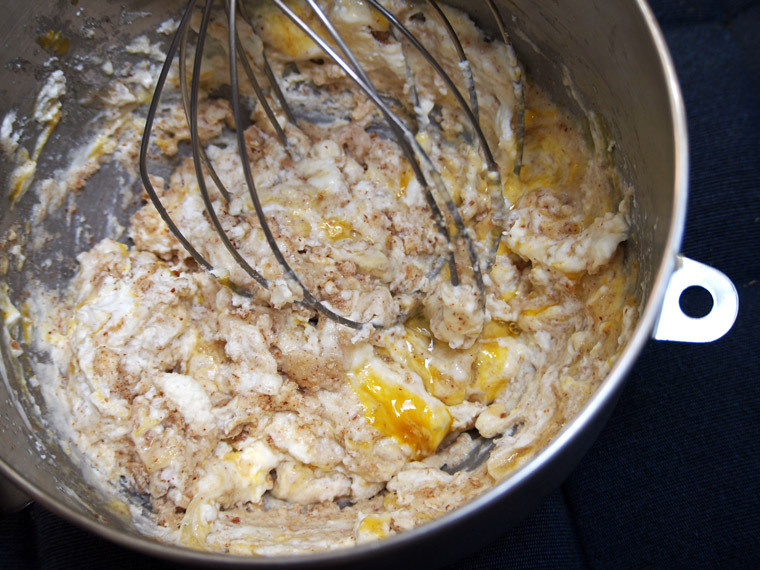 After the cream is whipped add the egg and ground almonds and fold ingredients under using a whisk to keep it airy. Pour filing over the dough and press in apricots. 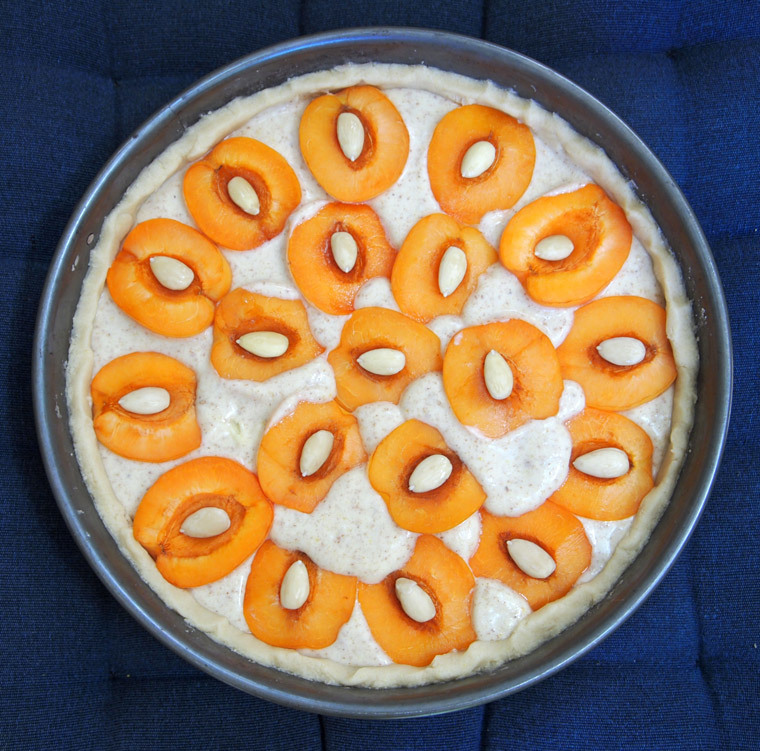 Place a blanched almond in each apricot half and place in oven at 350° for 45 minutes on second rack from the bottom. The tart should be light brown on top. Let the tart cool in the pan for about 15 minutes. Carefully slide a knife around the edges of the crust. Open clasp of springform to loosen bottom tray, then close springform back to hold only the tart and slide it on a cooling rack. Remove springform and let cool for about 45 minutes. Dust with powdered sugar. If you don’t have a stand mixer you can use a food processor to pulse ingredients together or just mix it by hand. This German vanilla sugar tastes amazing and is used in just about all German baking, you can find it online here. If you don’t have any you can use one vanilla bean, scraped or 2 teaspoons vanilla extract. Den Kuchen backe ich auch gerne. Koestlich! You can make your own vanilla sugar, by just sticking some fresh vanilla beans into a jar of sugar. Let it sit. Danke für den Tipp Kirsten! I will definitely try that! yum! This tart looks fantastic! 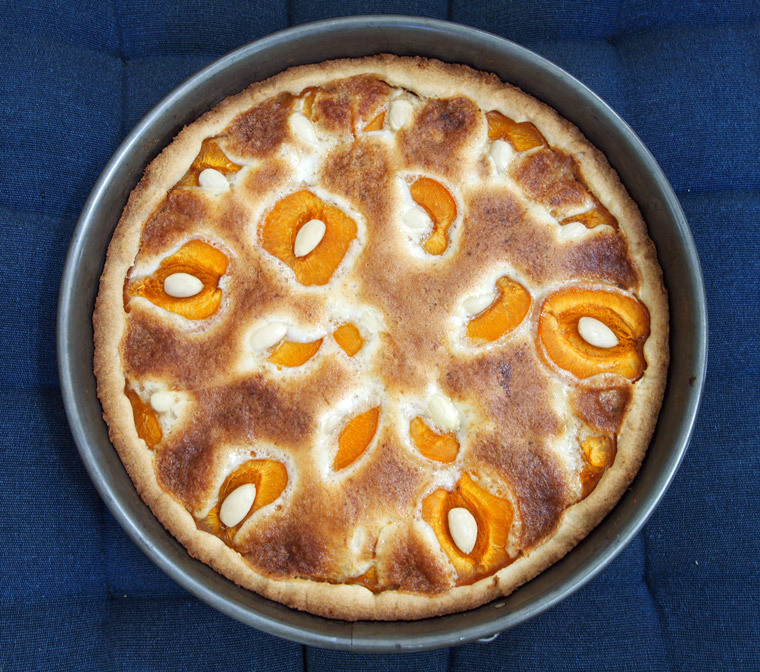 Apricot tart is my favorite among all tarts! Many thanks for sharing this great recipe!! Thank you Amy! 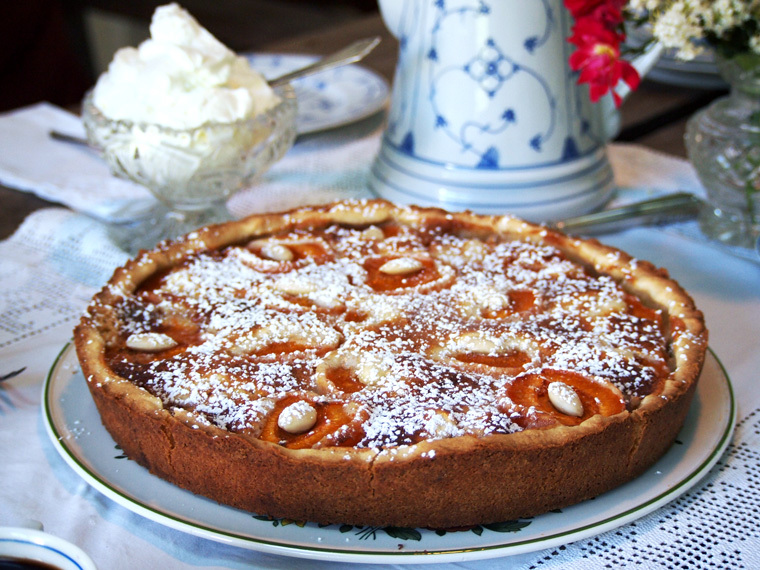 I plan to share many more delicious German desserts here, amongst healthy food too of course. Ohh lets swap!! Beautiful work!